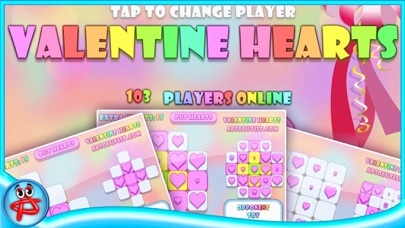 Valentine Hearts: Match 3 Puzzle is a unique brain teaser and your Valentine's Day fun. 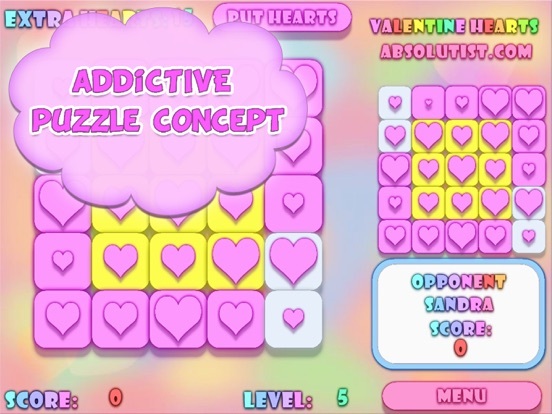 Easy to learn puzzle concept will keep you entertained as you train your logic skills. 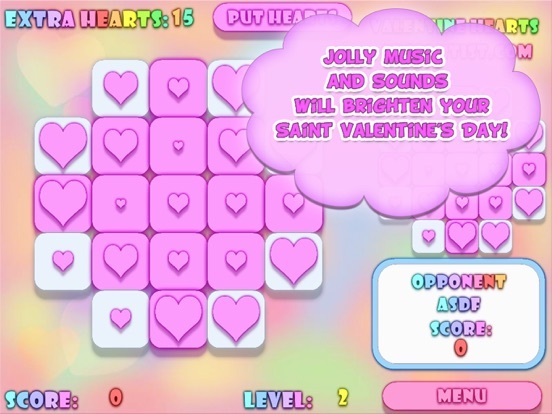 Valentine's Day is marked by sending gifts and love messages to the special ones. And the most popular gifts are flowers, chocolates and greeting cards – valentines. 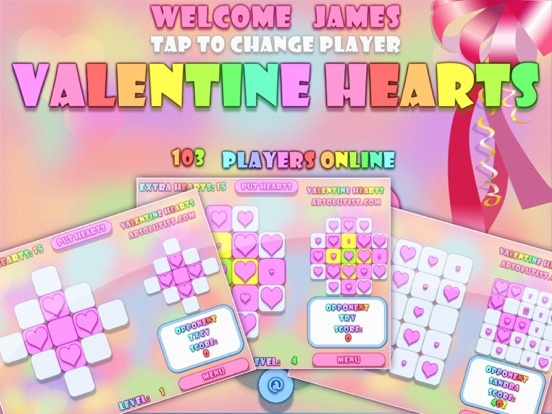 Express love to each other by presenting the game filled with hearts and flowers! 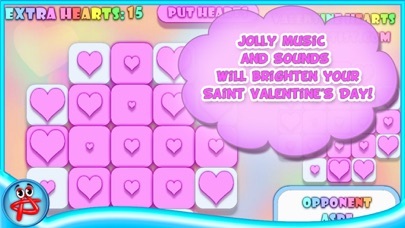 Pretty colors, jolly music and sounds will brighten your Saint Valentine's Day! 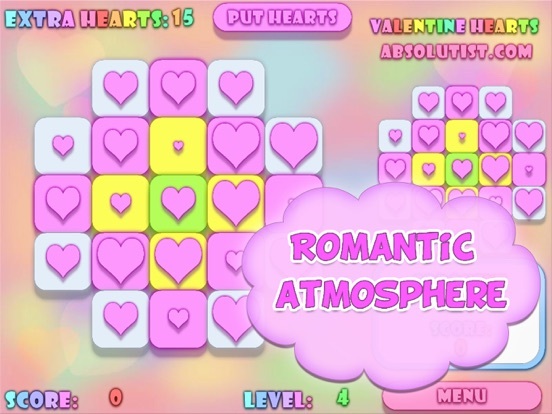 We are dealing with square colored tiles filled with differently sized bubble hearts. 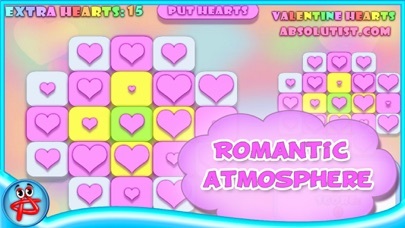 Clicking on the biggest hearts will make them pop and change the tile color, enlarging nearby objects. 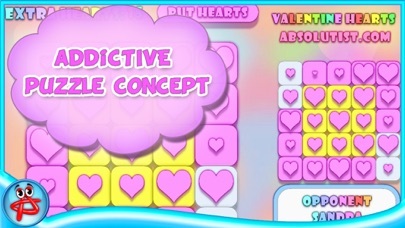 The objective of the game is to change the color of all tiles to white. But before you start playing, consider the most effective click-and-pop combination, because every move counts. 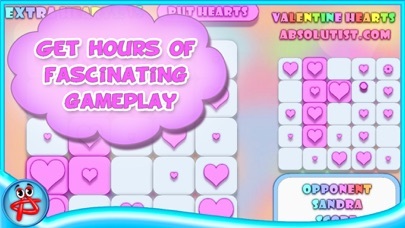 Earn bonuses for bursting three and more hearts in a row. As you go through the levels the board tiles form different maze-like play fields, so that's a great opportunity to develop non-linear thinking. 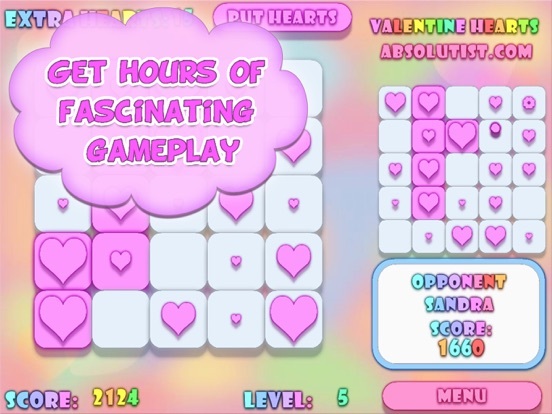 This addicting and lovely puzzle game will deliver hours of fascinating gameplay. In this update we made the game compatible with the latest versions of iOS.